Her positive outlook was put to the test when, shortly after joining NBC, she was sidelined by a string of foot injuries. As a result, she missed coveted opportunities like dancing at the debut of Christopher Wheeldon’s new company, Morphoses. She admits it was hard to keep her chin up, but she did her best to stay upbeat, reading books on dance and watching ballet clips on YouTube. 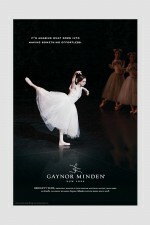 That’s when she noticed that her favorite dancers were wearing Gaynor Mindens. “More importantly,” she says, “I realized that I had never heard of any of them having foot problems like me. That was all I needed to make the switch, because all I wanted was to get back on stage.” Read the whole story: Careers Restored. Her artistic director, legendary Canadian ballerina Karen Kain, says that Zehr “was born to dance Giselle, and what she brings to it is exactly why it’s worthwhile to keep performing the classics.” Kain spoke about Zehr taking on the role: “Physically, she was extraordinary — so fresh, so spontaneous. Her interpretation was very original, very heartfelt, not like any I’ve ever seen before. She danced like a young woman of today.” It’s obvious that Kain has tremendous confidence in Zehr’s abilities, and she has demonstrated unwavering support for the dancer since hiring her — an opportunity Kain wouldn’t let slip away, even though an extra dancer wasn’t in the company’s budget. In a proactive effort rarely shown by major directors toward young dancers, Kain personally campaigned her sponsors to come up with the funds to bring Zehr to NBC. Teachers and directors have been drawn to Zehr’s abilities and enthusiasm since she started dancing in Sarasota, Florida. The daughter of a ballet dancer, Zehr took her first dance classes as a participant in Sarasota Ballet’s DANCE: The Next Generation outreach program. The program offered free classes, transportation, and tickets to ballet performances to interested students of limited financial means, and Zehr and her older sister qualified. Zehr immediately loved the ballet classes, even though the discipline could be harsh. After seven years, she began training at the Harid Conservatory — a boarding school even more strict, but highly respected for developing professional dancers in the Vaganova technique. There she won the first Rudolf Nureyev Dance Foundation Fellowship, which covered her expenses while living away from home. After that, things started happening fast. She finished her studies at Houston Ballet and became an apprentice. Before joining the main company as a member of the corps de ballet, Zehr danced in William Forsythe’s In the Middle, Somewhat Elevated; danced Caliope in Balanchine’s Apollo, coached by former New York City Ballet soloist Patricia Neary; and played the Snow Queen in The Nutcracker. Within a year, she was promoted to the corps, and two years later, after dancing her first Odette/Odile in Swan Lake, she became a soloist at Houston Ballet. That promotion was particularly special: still in costume, with her mother present, she was brought upstairs after the show for the announcement. 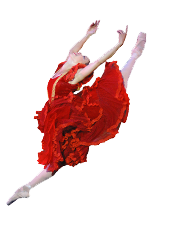 *Bridgett joined the English National Ballet as a principal dancer in the Fall 2011 season. Congratulations, Bridgett!